Many people maintain that the 1930s were the golden age of movies, railroads, and automobiles. Certainly the decade did see many innovative new car designs. They ranged from the highly functional Checker Taxicab to the flashy Duesenbergs. 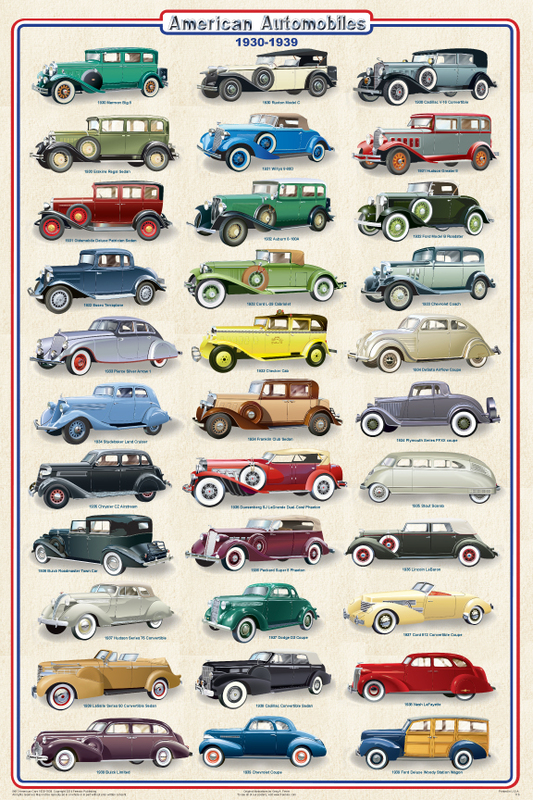 Note the 1935 Stout Scarab (7th row, right side). Featuring an aerodynamic design, it is regarded as the first minivan.